A LANDLORD OFFERING to swap with tenants and charge them higher rent, a woman on maternity leave whose landlord refuses rent supplement and a mother-of-two at risk of homelessness because her landlord is selling the house – these are just some of the cases dealt with by housing charity Threshold in the last few months. Threshold’s advocacy on behalf of tenants has seen it come into contact with these cases at a time when the homelessness crisis sees almost 10,000 people in Ireland without a home and the average rental cost of a property is €1,261 nationwide, and €1,875 in Dublin. The problems in the rental sector were re-emphasised earlier this month with the publication of the Residential Tenancies Board annual report which showed it had received 170,000 calls last year alone. While €1.6 million was awarded to landlords by the RTB in dispute cases, it also found 41% of notices of termination of their lease given to tenants were invalid. The charity’s CEO John Mark McCafferty told TheJournal.ie that tenants are often fearful of “rocking the boat” with their landlord and that while many renters might know their rights, exercising them can be far trickier. In one case, a couple with two children had been renting a property in the Fingal County Council area since September 2011. A new landlord took control of the property in January 2017. Their rent at the time was €1,000. The new landlord came with a new lease, and told the couple that their rent would now be €1,250. This is well in excess of the maximum 4% increase allowed as the Dublin area was in a designated rent pressure zone. The tenants were told that if they didn’t agree to the increase, the landlord would have no problem moving into the property herself. In fear at the prospect of being made homeless, they agreed to the rent increase on the basis they could stay in the property for the long-term, giving security for the couple and their children. McCafferty said that this case was an example where the threat of being forced out was enough to convince the tenants to pay the increased rent, even though the rise was higher than the 4% allowed by law. “They want to hold on to their home,” he said. It’s raising the ire of the landlord who in some cases might feel they could get away with charging more. Fast forward 12 months then, this lease was due to expire on 31 March this year. At this time, the landlord told them that she wanted to live in the property, and offered her own apartment to the tenants. The rent on this apartment, however, would be €1,900. The landlord said to them that if this was too much, they could rent a room in it. The tenants offered to meet with the landlord to discuss this property swap. It was then, however, that the tenants were told this swap wouldn’t happen and the landlord now wanted them to vacate the property to do refurbishments before she herself moved in. The landlord issued the clients with a notice of termination which was invalid, and the tenants received a further two invalid notices. The case went to the Residential Tenancies Board and the tenants won the case. The landlord has since appealed the case, but that has not yet been heard. The landlord has paid the €3,500 to the tenants awarded by the adjudicator, and the couple have since found a new property and moved out. A couple with one child living in Galway city were paying €775 per month in rent for their home. The landlord said they wanted to increase that by €500 to €1,275 a month. Galway is also in a designated rent pressure zone, so this increase of over 60% contravenes the laws in this regard. Threshold assisted the tenant in successfully challenging the rent review. While the landlord did not increase the rent, they followed up with notice of termination of their lease. The family of three are now sharing a room in a shared house, as they’ve been unable to find any affordable accommodation. In another case, a family based in north county Dublin had been living in a property for eight years. The rent was low and the landlord said that it was not sustainable to keep it at that rate into the future. As 4% was the maximum the rent could be raised, it couldn’t be brought in line with the price of similar properties in the area. The family were issued with an invalid notice to leave the property, with the landlord saying that renovations would be carried out and the property then given to her son. The notice failed to comply with the Residential Tenancies Act, and the tenants remain in situ. The landlord now has to issue a new 224-day notice to comply with the legislation if the wish remains to remove these tenants from the property. Another case that came to Threshold’s attention was a lone parent of two children who was told that her landlord was selling the property she lived in Cork city. The agency represented the client at the Residential Tenancies Board, and won because the notice of termination given by the landlord was invalid. However, the woman has now been given a new, and valid, notice of termination with the grounds again that the landlord was selling the property. She’s now on the social housing list, but is finding it difficult to source accommodation, raising the risk that she become homeless. McCafferty said that the situation this woman finds herself in is an “unfortunately all too common case”. “This is classic, in a way,” he said. “It’s going to be a number of years before the state of social housing improves for families in this case, and they have to turn to the private rental sector. There’s very little out there, especially for someone on a lower income in an urban area with very high demand and high rents. A Dublin-based woman was employed and paying her rent on time but, after she went on maternity leave, she asked the landlord to accept rent supplement. The landlord refused and she was forced to continue to pay her rent from her own money and savings. When she was unable to return to work, she submitted a housing application that was approved, and she requested her landlord to accept the Housing Assistance Payment (Hap). The landlord didn’t refuse, but also didn’t return the forms and documents and then stopped responding to communications with the tenant. Threshold helped her bring the matter to the Workplace Relations Commission. It was only after this application was made that the landlord responded to the charity and provided the required forms and documents. Her first Hap payment is due to be received next month and she remains in the property. Threshold’s McCafferty said that while these cases are all unique, a common thread is the serving of a notice of termination to a tenant. “These could be valid or invalid,” he said. “But not everyone knows they could be invalid. You’d want to be pretty well versed in private rental sector legislation to know it’s invalid. It’s more the shock of getting it. While the supply of housing – both social and private sector – remains the issue that continues to feed into the crisis many are facing, McCafferty said that stronger policy decisions are required to help alleviate problems in the short-term. He said: “We need stronger enforcement of adherence to the rent pressure zones. We need to start challenging it more proactively. It appears in a number of cases that landlords have ended a tenancy with one tenant only to put it back on the market at a higher price. That’s something that needs to be urgently addressed. In a statement to TheJournal.ie, the Department of Housing said that in April the government approved the drafting of legal amendments that would shore up the status of rent pressure zones and provide tougher enforcement measures. 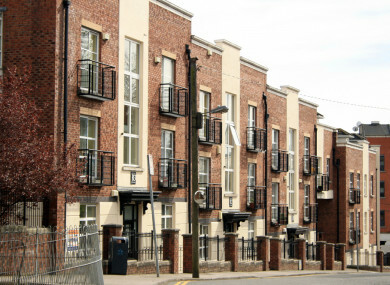 The new legislation aims to provide powers to the Residential Tenancies Board to investigate any contravention of the law around rent limits in rent pressure zones and allow the RTB to initiate an investigation without the need for a complaint to be made. It will also make it an offence for landlords to implement rent increases that contravene the law around rent pressure zones. Email “Family of 3 sharing room after landlord tried to increase rent by €500: Ireland's housing horror stories”. Feedback on “Family of 3 sharing room after landlord tried to increase rent by €500: Ireland's housing horror stories”.